Crafting a form that is unique in its blend of cinematic essay and archival footage documentary, Concerning Violence re-introduces Fanon’s humanist, post-colonial vision through a cinematic journey that brings us face to face with the people for whom Fanon’s writings on decolonization were not just rhetoric, but a reality. Born 1965 in Lund, Sweden. 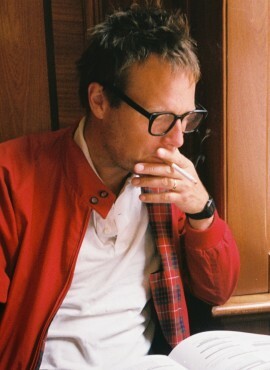 Göran Hugo Olsson was educated at the Royal Academy of Fine Arts in Stockholm and is one of Sweden’s leading filmmakers internationally. He is a documentary filmmaker, cinematographer and manufacturer of his own innovation – the A-Cam, a Super-16 film camera. He was editor and co-founder of the short documentary television program ”Ikon” (SVT). His film The Black Power Mixtape 1967-1975 (2011) became a huge hit in festivals, theatres and TV broadcasts worldwide. Olsson has since 1999 been a member of the Editorial board of Ikon South Africa – a platform for creative documentary in South Africa by township filmmakers in cooperation with South African national broadcaster SABC.